Ocarina of Time version and Twilight Princess version. but unfortunately he is no longer around. So he gave me the permission to upload his mod on nexus. 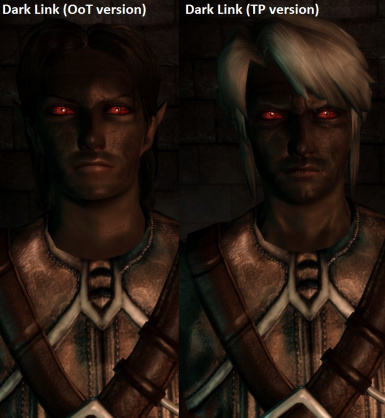 5) When you go in character creation of the game, you will find those morphs to the end of Elf Male Presets. To get the gear items type on the console the cheat code, "runscript dark_link". 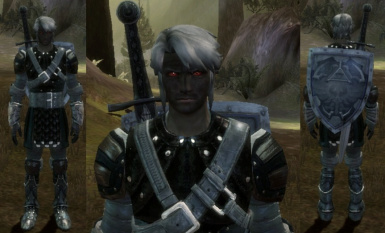 this mod may conflict with other mods using the same number. If you find a conflict, please tell us including the name of the conflicting mod.